Once in a rare while a teacher or guidance counselor gets tasked with writing a recommendation letter for a student for whom the usual overachiever descriptives do not suffice. Conveying in a page-or-two letter the character, compassion and off-the-charts intellect of a student who is truly brilliant doesn’t come easy. Think about it. Only around six percent of Harvard applicants get an acceptance letter. Admissions officers could fill each year’s freshman class with individuals who were their high school’s valedictorian — many times over. Would the likes of President Bill Clinton, if he were a high school senior today, stand a chance of getting into Georgetown, his alma mater (16% acceptance rate)? Perhaps. But only if he and his faculty recommenders knew how to write truly standout essays. 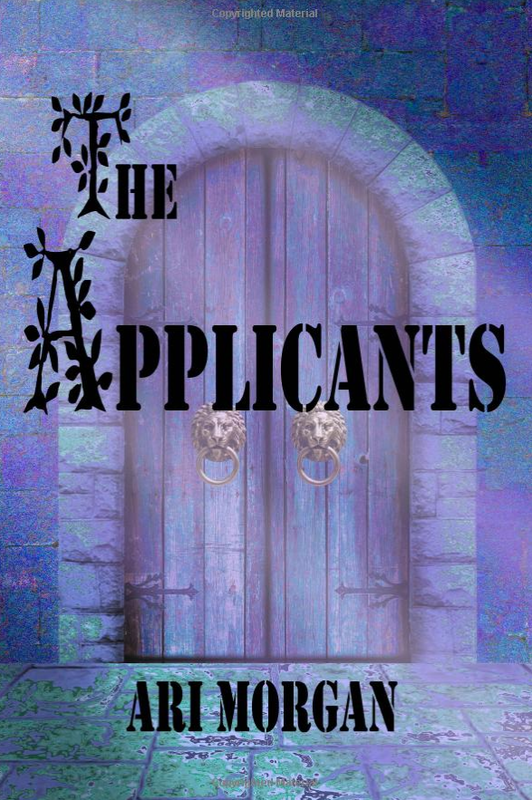 The stories within The Applicants, a novel now in paperback from Amazon.com, written by authors who share the pen name Ari Morgan, offer readers something more than a great story. Woven brightly and discernably throughout the book is a fully-articulated paradigm from which to approach the uber-competitive college admissions process. At times in the story the parental characters are painted with-less-than subtle brush strokes. One prays there really aren’t moms and dads out there who really are as clueless and narcissistic as those portrayed in The Applicants. But perhaps there are. The character in the novel to pay closest attention to is the Head Advisor of Pembrocton College Prep (PCP), Sloane Newhall. The aristocratic parents of her elite private school grovel at her feet, because Ms. Newhall’s college recommendation letter is the most important one these children-of-the-one-percent-of-the-one-percent will ever receive, and it’s one that can’t be bought. At Pembrocton, “the counselor recommendation was a solo performance subject to review by no higher authority. It was an object of unadulterated reverence, naked lust, anguished yearning. And it was hers and hers alone to withhold or bestow." Ms. Newhall comes across early in the story as a nefarious power tripper working on the side of the bad guys (pompous, elitist parents). But she offers clues along the way that her intentions and motivations are more complex than first meet the eye. Interestingly, The Applicants regards admission officers with something approaching sympathy — forcing you to imagine the enormity of their task: selecting the brightest gems from among mountainous stacks of superbly qualified candidates. The admissions committee is not some machine that’s programmed with a secret algorithmic code for scoring applicants. In this book, the gatekeepers are well-intentioned humans. Would you want to be the person who sends a rejection letter to the next Bill Clinton? Why purchase this book? Sure, it’s a fun read, written in a voice that exemplifies the flair with which a great college essay should be written. But here’s the real reason I recommend it: The Applicants is actually a detailed guide to how one gains acceptance to America’s most elite institutions. It’s masquerading as a novel. Now for my full disclosure: I know the true identity of the author, Ari Morgan. It’s actually two women from my hometown, Phoenix, Arizona. I met them years ago, as a college applicant myself. These strangers, whom I met via unlikely circumstance, quickly became family. I’ll never forget how they helped me recognize my own worth — at the very moment in my life when I needed that kind of love the most. So it’s with deep gratitude that I recommend their first work of fiction, which is packed with truths that today’s college applicants (and their parents!) desperately need to read.